How well does your firm stack up against these behaviors and states of mind? – New challenges are eagerly, continuously sought out. – The firm and its people never rely on momentum for their success, but are always seeking to build new capabilities. – Compared to key competitors, the people in the firm are distinguished by a superior, burning passion to get somewhere new. – The firm emphasizes and requires adaptability, flexibility, and responsiveness as key virtues. – The firm’s strategies are created through continued and repeated experimentation. – The firm is markedly superior in creating (not just hiring for) energy, excitement, enthusiasm, drive, determination, passion, and ambition. – Service offerings, locations, and operating units are repeatedly assessed against the three key criteria: Do the people in the firm find this exciting? Are we making money? Are we doing something special that others are not doing? – There is a restless refusal to accept “It’s OK.” People never settle, never give up, never coast. – The firm sustains energy and investment actions both when things have gone badly and when things are going relatively well. – The firm does not judge its performance by the levels of its accomplishments, but by the “relative incline”: whether or not it is improving relative to competitors on the characteristics it has chosen to compete on. – Management is held accountable for its ability to create and sustain drive, enthusiasm, passion, ambition, commitment, and excitement, and instills these things in the individual members and groups that make up the organization. Managers who cannot do this are replaced. The rate at which new ideas are generated is directly related to the effort invested in enriching social networks. “Entrepreneurs believe in the power of networking. Many are very good at it. They become good because they recognize that most people with interesting notions usually have only one piece of a puzzle. Often unexpected combinations of ideas, or chance meetings of people with complimentary perspectives, ignite genuine breakthroughs. There is one other point Chris – I call it the “closing of the corporate mind”. It’s not just about people being comforatble with the status quo. It’s about people hiring and surrounding themselves with their own kind. A tribal thing, perhaps? So the desis hang out with the desis, the Chinese with the Chinese, the Hicks with the Hicks, the golf-playing execs with other golf-playing execs, repugs with repugs, etc. And as your colleague VG says, travel! Trimble also mentions the “vast differences between communication networks and trust networks. Communication networks are the kind that are useful at the front-end of the innovation process because they enable the sharing of ideas. The back-end of the innovation process depends on trust networks, which require much heavier investments in time, energy, and goodwill. Still boils down to people and trust, people! Put a value on that Mr. CFO Bean-Counter! How can we get customers to collaborate with the company/companies to co-create products and services that benefit everyone involved? In a country where most books in English sell fewer than 1,000 copies and 5,000 constitutes a bestseller, Penguin sells up to 70,000 Wodehouses a year: part of a thriving “retro-market” that ranges from Agatha Christie to Modesty Blaise. Let me give you a list of what we read (for fun) when we were kids at St. Columba’s (from first grade to 10th). It sure was British, beta! We also read Tin Tin and Asterix, the usual Hardy Boys and Nancy Drew junk, and the Bobsey Twins. Add to that a weekly Commando comic, the occasional Beano, and see what a mixed-up world we grew up in! It’s a straight line from Noddy to P.G. Wodehouse. One more thing – we did NOT read Shakespeare, unless we had to. This is how the Internet is democratizing society… collaborative problem-solving in public health. Public health is too important to leave to the bureaucrats… Remember Katrina? See their avian influenza outbreak maps. This level of detailed information is what we want from our public institutions, but you can bet we won’t get it- for several reasons- political, economic, and sadly, policy. 1) How does Japan’s leading automaker keep getting better? 2) What keeps competitors from emulating that performance? While U.S. manufacturers in many sectors have used practices from the Toyota Production System (TPS) to boost performance substantially since the mid-’80s, they have used it improperly, experts say. Instead of embracing TPS as an overarching philosophy, they have used it piecemeal as a toolbox. These companies’ leaders must revive their strategies to mimic Toyota’s in order to compete, which means reversing the popular notion that lean and other TPS-derived concepts are tools to be used selectively to achieve departmental milestones. – Eliminate work standards (quotas) on the factory floor. Substitute leadership. – Eliminate management by objective. Eliminate management by numbers, numerical goals. Substitute leadership. 12. Remove barriers that rob people in management and in engineering of their right to pride of workmanship. This means, inter alia, abolishment of the annual or merit rating and of management by objective. So who won this year’s Superbowl ad-wars? This year, at the UCLA Ahmanson-Lovelace Brain Mapping Center (don’t you love that name), Marco Iacoboni and his group used functional magnetic resonance imaging (fMRI) to measure brain responses in a group of subjects while they watched the Super Bowl ads. The way fMRI works is relatively simple: different levels of cerebral blood oxygenation have different magnetic properties. 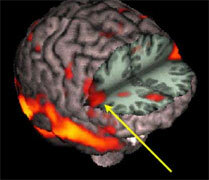 Moreover, changes in blood oxygenation correlate with changes in neural activity. Thus, without using any contrast agent, fMRI can measure how much brain areas are activated during sensory, cognitive and motor experiences. Great. Disney? Give me a break. That said, I know someone (a famous business guru) who is visiting Disney this week, so maybe the ad worked after all! “To begin with familiar facts, statistics on readership have been pointing downward, significantly downward, for some time now. Four-fifths of Americans once read newspapers; today, apparently fewer than half do. Among adults, in the decade 1990-2000, daily readership fell from 52.6 percent to 37.5 percent. Among the young, things are much worse: in one study, only 19 percent of those between the ages of eighteen and thirty-four reported consulting a daily paper, and only 9 percent trusted the information purveyed there; a mere 8 percent found newspapers helpful, while 4 percent thought them entertaining. “From 1999 to 2004, according to the Newspaper Association of America, general circulation dropped by another 1.3 million. Reflecting both that fact and the ferocious competition for classified ads from free online bulletin boards like craigslist.org, advertising revenue has been stagnant at best, while printing and productions costs have gone remorselessly upward. As a result, the New York Times Company has cut some 700 jobs from its various papers. The Baltimore Sun, owned by the Chicago Tribune, is closing down its five international bureaus. Second papers in many cities have locked their doors. “My own preference would be for a few serious newspapers to take the high road: to smarten up instead of dumbing down, to honor the principles of integrity and impartiality in their coverage, and to become institutions that even those who disagreed with them would have to respect for the reasoned cogency of their editorial positions. I imagine such papers directed by editors who could choose for me—as neither the Internet nor I on my own can do—the serious issues, questions, and problems of the day and, with the aid of intelligence born of concern, give each the emphasis it deserves. Though Wal-Mart is three times larger than its next biggest retail rival, Mr. Scott appears to be preoccupied with competitors whose individual store sales are growing faster than Wal-Mart’s — namely Target and Walgreens. Asked about Wal-Mart’s stock price, which has fallen 11 percent in the last five years. Mr. Scott said: “You cannot have Target or Walgreens beating you day after day after day.” Mr. Scott wrote that one reason Wal-Mart’s same-store sales were growing more slowly than Target’s was that Wal-Mart’s customers earn less and have been squeezed worse by soaring fuel prices. 1) Wal-Mart is targeting lower income and lower-middle income consumers, i.e. its employees. 2) Wal-Mart won’t pay its employees a decent salary w/ benefits. 3) Wal-Mart says its same-store sales are growing more slowly than Target’s is because Wal-Mart’s customers earn less and have been squeezed worse by soaring fuel prices. Let’s look at two other alternatives: Costco and IKEA. Wake up Wal-Mart. Get some values. Now that HR has decide that they need to be perceived as strategic, they’ve decided to put start measuring the ROI of HR. How? Human-Capital Metrics. The problem with HR is HR. In a majority of companies, business and HR are not in alignment. There are exceptions – see Laurence Haughton’s interview– especially the part about IKEA. Google may be diversifying offline into radio, print and potentially TV advertising sales, but its plan is to utilize its powerful online backchannel to measure results of those deals. If successful, the initiative could provide a new, empirical way of proving the ROI of traditional media advertising deals. In an interview with MediaDailyNews, Google’s Director of Advertising Strategy Patrick Keane said the plan relies on techniques already being utilized by some advertisers who use an online component of their media strategies to measure the effects of traditional media in their mix. One straightforward strategy, he said, would be driving readers or listeners back to the online realm and measuring them there. As an example, Keane noted how marketers might include a unique URLs in text ads, allowing advertisers to measure by site visits the number of visitors who interacted with the text ad. He suggested advertisers could cast an even wider net by including an old direct response technique–the unique 1-800 number–in print campaigns and radio advertising. As aficionados of late-night TV know, 1-800 numbers are old hat; in this system, the studio selling albums, for example, pays out to the broadcaster based on the number of phone inquiries they receive. Another approach might include econometric modeling, which uses sophisticated statistical analyses to determine the effect offline advertising has on driving consumers to online activity and vice versa. This is good news for everyone except the ad agencies. They certainly don’t want accountability! Dream on, scientists. The people who deny global warming don’t believe in science. They believe in money. And the money says there is no global warming. They won’t believe it even if they see it… Right, Texxon? The stupidity of business – exposed. Recently I needed some information to make a purchase, so I asked the store manager if they had an Internet connection where I could look up my information. “Sorry, you can only visit one site, ours…” he smirked. I went home to get my info, and the company lost about $500.00 in sales, because I couldn’t stand the attitude. A week after NASA’s top climate scientist complained that the space agency’s public-affairs office was trying to silence his statements on global warming, the agency’s administrator, Michael D. Griffin, issued a sharply worded statement yesterday calling for “scientific openness” throughout the agency. The statement came six days after The New York Times quoted the scientist, James E. Hansen, as saying he was threatened with “dire consequences” if he continued to call for prompt action to limit emissions of heat-trapping gases linked to global warming. He and intermediaries in the agency’s 350-member public-affairs staff said the warnings came from White House appointees in NASA headquarters. Other National Aeronautics and Space Administration scientists and public-affairs employees came forward this week to say that beyond Dr. Hansen’s case, there were several other instances in which political appointees had sought to control the flow of scientific information from the agency. And in December 2004, a scientist at NASA’s Jet Propulsion Laboratory complained to the agency that he had been pressured to say in a news release that his oceanic research would help advance the administration’s goal of space exploration. Repeatedly that year, public-affairs directors at all of NASA’s science centers were admonished by White House appointees at headquarters to focus all attention on Mr. Bush’s January 2004 “vision” for returning to the Moon and eventually traveling to Mars. Starting early in 2004, directives, almost always transmitted verbally through a chain of midlevel workers, went out from NASA headquarters to the agency’s far-flung research centers and institutes saying that all news releases on earth science developments had to allude to goals set out in Mr. Bush’s “vision statement” for the agency, according to interviews with public-affairs officials working in headquarters and at three research centers. Many people working at Goddard Space Flight Center in Greenbelt, Md., and the Jet Propulsion Laboratory in Pasadena, Calif., said that at the same time, there was a slowdown in these centers’ ability to publish anything related to climate. According to other e-mail messages, the flare-up did not stop senior officials in headquarters from insisting that Mr. Bush’s space-oriented vision continue to be reflected in all earth-science releases. In the end, the news release with Dr. Lee’s disavowed remark remained up on the NASA headquarters public affairs Web site until The Times asked about it yesterday. It was removed from the Web at midday. The Big Bang memo came from Mr. Deutsch, a 24-year-old presidential appointee in the press office at NASA headquarters whose résumé says he was an intern in the “war room” of the 2004 Bush-Cheney re-election campaign. A 2003 journalism graduate of Texas A&M, he was also the public-affairs officer who sought more control over Dr. Hansen’s public statements. The memo also noted that The Associated Press Stylebook and Libel Manual specified the phrasing “Big Bang theory.” Mr. Acosta, Mr. Deutsch’s boss, said in an interview yesterday that for that reason, it should be used in all NASA documents. The Deutsch memo was provided by an official at NASA headquarters who said he was upset with the effort to justify changes to descriptions of science by referring to politically charged issues like intelligent design. Senior NASA officials did not dispute the message’s authenticity. The only response came from Donald Tighe of the White House Office of Science and Technology Policy. “Science is respected and protected and highly valued by the administration,” he said. At work meetings, we want our position to prevail. In arguments, we pull out all the stops to come out on top. Even at supermarket checkouts, we scout other lines to see if there’s one that’s moving faster. He has a very, very good point. 1. Harnessing employee intellect at Toyota. 2. Building a community at Whole Foods. 3. Growing great leaders at GE. So what is management innovation? A management innovation can be defined as a marked departure from traditional management principles, processes, and practices or a departure from customary organizational forms that significantly alters the way the work of management is performed. Put simply, management innovation changes how managers do what they do. Not too bad, eh? But how does one get managers to overcome their fear of failure? Most leaders in the Fortune 500 did not get to the oxygen-deprived board room on their talent for risk taking. I feel most got there for NOT taking risks, but rather for simply obeying orders and executing well on given tasks. Hamel does not address this problem, which I believe plagues all (ok, 99%) large companies. While Hamel looks for management innovation, I’m still looking for innovative managers (now that’s an oxymoron). Hamel lists a dozen of the most noteworthy management innovations from 1900 to 2000.